Utilizing the Current Population Survey, a study identified that absences from work due to sickness declined following the legalization of medical cannabis in the 24 states with medical cannabis laws analysed. The effect was stronger for full-time workers, and for middle-aged males, which is the group most likely to hold medical cannabis cards. Those full-time employees between the ages of 50 and 59 were 13 percent less likely to report absences due to illness following medical cannabis legalization. Those ages 40 to 49 were 11 percent less likely to do so, and those ages 30 to 39 were 16 percent less likely to report a medical-related absence. 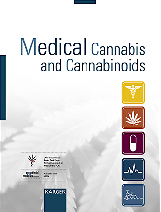 "The results of this paper therefore suggest that medical marijuana legalization would decrease costs for employers as it has reduced self-reported absence from work due to illness/medical issues,” Dr. Darin F. Ullman, a professor in the Economics department of the University of Wisconsin in Milwaukee, USA, wrote. Using a validated behavioral measure of aggression in response to provocation, subjective aggression significantly increased after alcohol use and decreased after cannabis use. The study at the University of Maastricht, The Netherlands, included heavy alcohol (n = 20) and regular cannabis users (n = 21), and controls (n = 20). Alcohol and cannabis users received single doses of alcohol and placebo or cannabis and placebo, respectively. They were subjected to certain tests, which allow measuring of aggression. In a study with 1,134,734 adolescents the passage of medical cannabis laws is associated with increases in perceived harmfulness. The Greek Health Ministry announced the formation of a working group consisting of academics, psychiatrists, and scientific and legal advisers of the prime minister, health ministry and the justice ministry and members of patient associations, to initiate a discussion on the medical use of the cannabis. According to press releases by Tweed, the largest producer of cannabis flowers in Canada, and the German company MedCann, which intends to supply German pharmacies with cannabis products, the first two varieties of the Canadian producer will be available in German pharmacies from August 2016 on. The FDA (Food and Drug Administration) has approved Insys Therapeutics Inc’s oral solution, Syndros, which is a liquid formulation of THC. Syndros may be used in patients experiencing anorexia due to AIDS, as well as cancer patients experiencing nausea and vomiting due to chemotherapy, and have not responded adequately to traditional antiemetic treatments. More than half of MPs want to see the legalisation of the medical use of cannabis, a survey conducted by Populus has found. The polling, which follows parliamentary debates on the issue, found that 58 per cent of MPs backed the use of cannabis for people battling health conditions. Just 27 per cent of MPs were opposed. In placebo controlled double blind trials with THC and cannabis some patients may perceive the THC effect and thus unmask blinding. Blinding means that patients do not know, whether they get a placebo or the active drug (in this case cannabinoids). Authors give hints how to preserve blinding and the quality of the study. Chronic reduced supply of the brain with blood causes cognitive impairment in rats. The synthetic cannabinoid WIN55,212-2 and endocannbinoids improved cognition. Instituto Ramón y Cajal de Investigación Sanitaria (IRYCIS), Madrid, Spain. Cells from the inner gel-like center, the nucleus pulposus, of intervertebral discs were taken from rats. Experiments showed, that CBD (cannabidiol) may have protective effects on these cells. Second Affiliated Hospital of Medical School of Xi'an Jiaotong University, Xi'an, China. 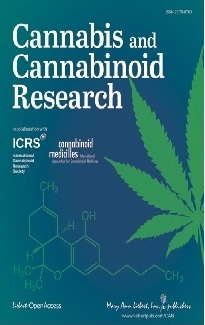 Resarch shows that THC (dronabinol) capsules may be stored at room temperature in their original packaging for up to three months without compromising capsule appearance and with minimal reduction in THC concentration. Scientists showed that the combination of palmitoylethanolamide (PEA), an endocannabinoid, and the flavonoid luteolin together exert neuroprotective activities by reducing mast cell-mediated toxicity to nerve cells and susceptibility to reduced supply with glucose. In a mouse model of bowel inflammation the synthetic cannabinoid abnormal CBD reduced inflammation and improved wound healing. In experiments with mice a synthetic fluorinated CBD, called HUF-101, was more potent than CBD to excert anxiolytic, antidepressant, antipsychotic and anti-compulsive activity. Medical Faculty, Hebrew University, Jerusalem, Israel. In a survey of 1902 persons living with HIV 20 % reported cannabis use. The data showed that there was no significant association between cannabis use and suppression of the HI virus by standard treatment. Certain genetic variants of the enzyme FAAH (fatty acid amide hydrolase), which is responsible for the degradation of anandamide are associated with an increased risk for cannabis use disorders in young adults.